Hey everyone! Today I have some nails for you that I've been super excited to show you ever since I created them a few weeks ago. They were inspired by this design on Hey Nice Nails' Instagram and I absolutely love how they turned out. If you want to see how to create them yourself head over to Divine Caroline here for step-by-step instructions. These nails were also my first experience with the Barry M Summer Matte collection (I used Copacabana* for the fox) and I was really really impressed, it was so opaque and easy to use. I also tried this out on a nail wheel with a purple fox using Rhossili* too and I love how that looks so maybe one day I'll create that on my nails! These are amazing!! I love all the colours you have used! Hello there, just became aware of your blog through Google, and found that it is really informative. I am going to watch out for brussels. I will appreciate if you continue this in future. A lot of people will be benefited from your writing. Cheers! omg! so cute! amazing mani! Awww...this is soooo cute!!! 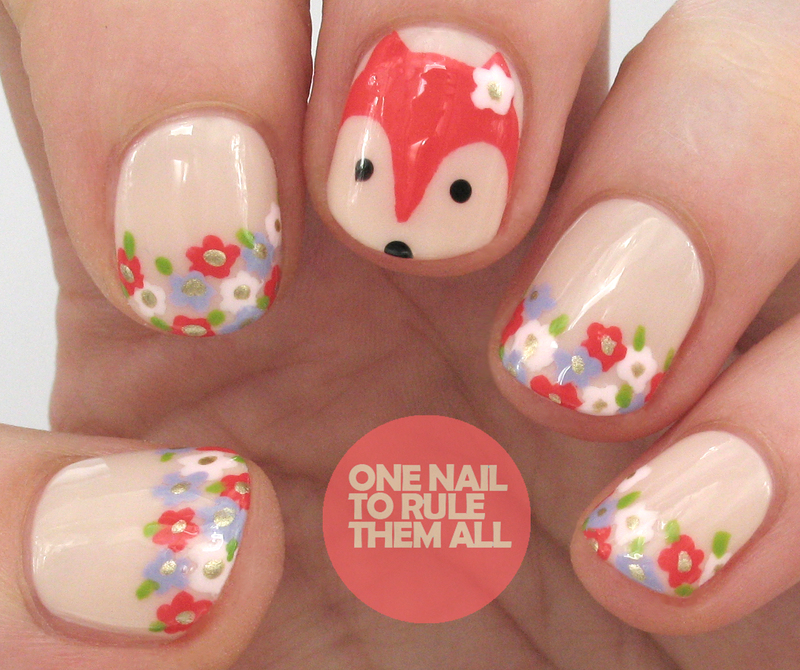 I super love the foxy and flowery design. It was nicely and neatly done. Love it!